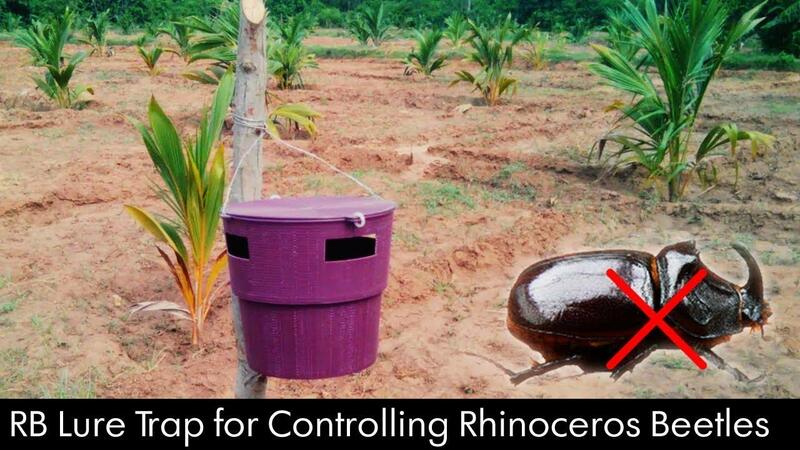 Several trials conducted by the Coconut Development Board, Kochi, have indicated that pheromone traps are ideal for the control of rhinoceros beetle, a serious pest in coconut plantations. The beetles attack the coconut trees and damage the growing parts of the palms. One beetle damages one coconut palm in its life cycle.The insect is named rhinoceros beetle because the male bears a horn on the middle of its head. 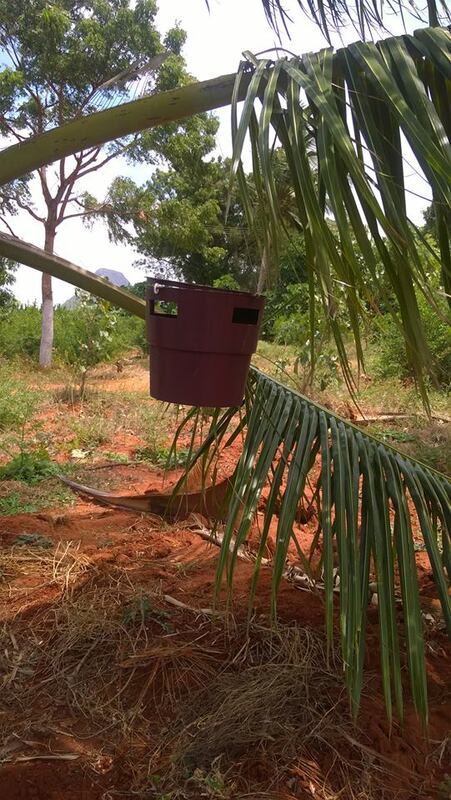 RB-lure trap also known as bucket trap is a proven method to trap and kill the beetles. It is a specially designed bucket trap, which is supplied along with a lure. The lure is placed inside a lure holder attached to the lid of the bucket. 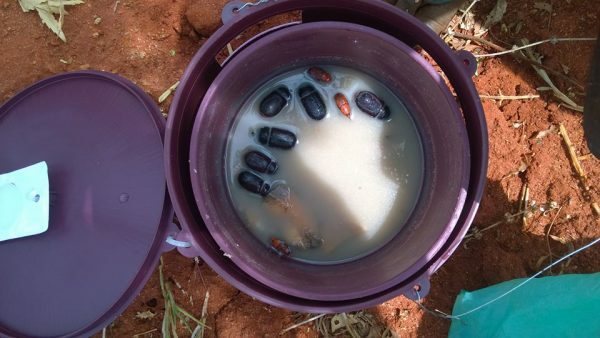 The pheremone traps seem to be quite effective – we are “harvesting” an average of 5-7 beetles from each of the 20 traps (10 for the Rhino black beetle and 10 for the Red beetles). We seem to have both the beetles in good measure. Good thing is that these traps (i hope) will let us save the trees without resorting to the monochrotophos miracle cure!